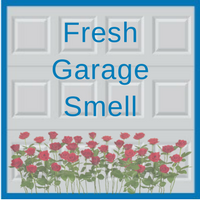 Rotten odors may begin to form in your garage if you do not clean it during the long, damp winter months in Illinois. However, there are a few cleaning tactics that you can apply to protect your garage from smells. It may not be possible to eliminate all of the smells from your garage, but you can limit the number of them that are forming. One way to remove some odors is to have a designated storage space where you put all of your items that are a little more smelly than the rest. Keep this area tucked away, so when guests come over, they will not have to deal with the strong odors. If there are any cracks in your garage walls or floors, the mold may sneak its way through. In order to prevent this from occurring again, you should remove any water puddles, as long-standing water sometimes attracts mold. Another possible solution is to install a dehumidifier, resulting in the moisture level to drop. There may be dangerous conditions that form if you do not properly inspect the safety of your garage. Sometimes, you cannot see all the tiny details of your garage until you get up close. Types of bacterias can mold can cause health issues down the road. So to prevent any illnesses, conducting regular garage safety checks is a good idea. Also, just by simply opening the garage door, the fresh air will rotate around your garage and apply a fresh smell to your garage. If you have windows inside your garage, leaving them open for a few hours when it is nice outside can also help circulate fresh air. There is a chance that smells can be trapped inside your garage floor if enough time goes by without cleaning it. A simple solution is to apply bleach and water and scrub your floor. Let it sit for a few hours and your garage floor will not only look clean but smell fresh as well. It is important to maintain a clean and well-organized garage all year round. Keeping your garage clean does not only provide a safe environment for you, your family, and guests but it also provides an updated appearance of the space. For more information on how to deodorize your garage, contact the Chicagoland area garage experts at Blue Sky Builders today. Call us at 630-852-8485 or visit us online. 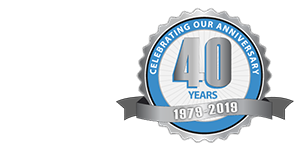 We are dedicated to serving our clients with their garage maintenance needs.